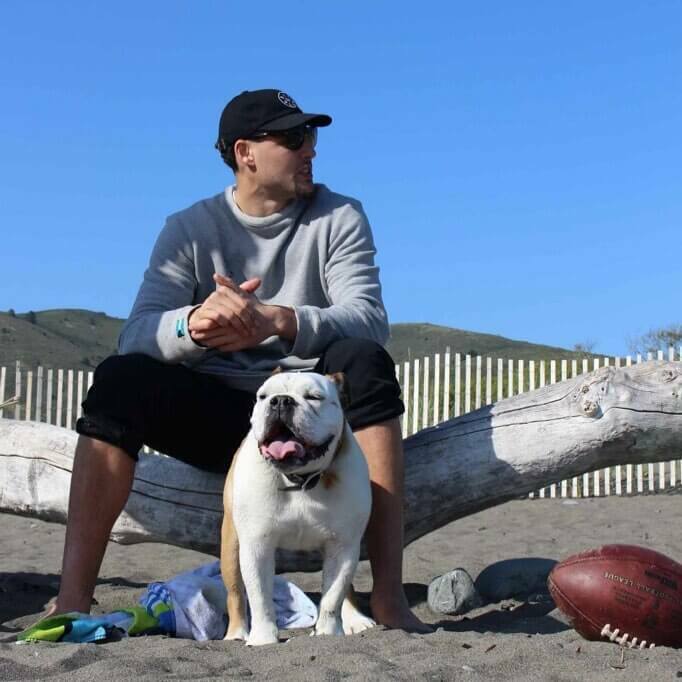 They’re already your favorite athletes, now imagine them with adorable pets. 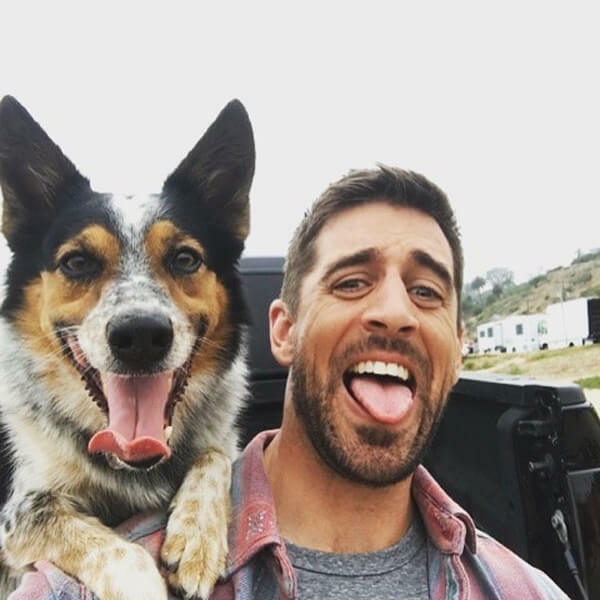 Aaron Rodgers taking a selfie with his tongue out to match his dog’s is something everyone should see. Not only that, but one of the most popular players in the NBA decided not to get a dog and brought home a camel instead! That’s probably the wildest pet you will see here but, mixing superstars and animals is a must-see. 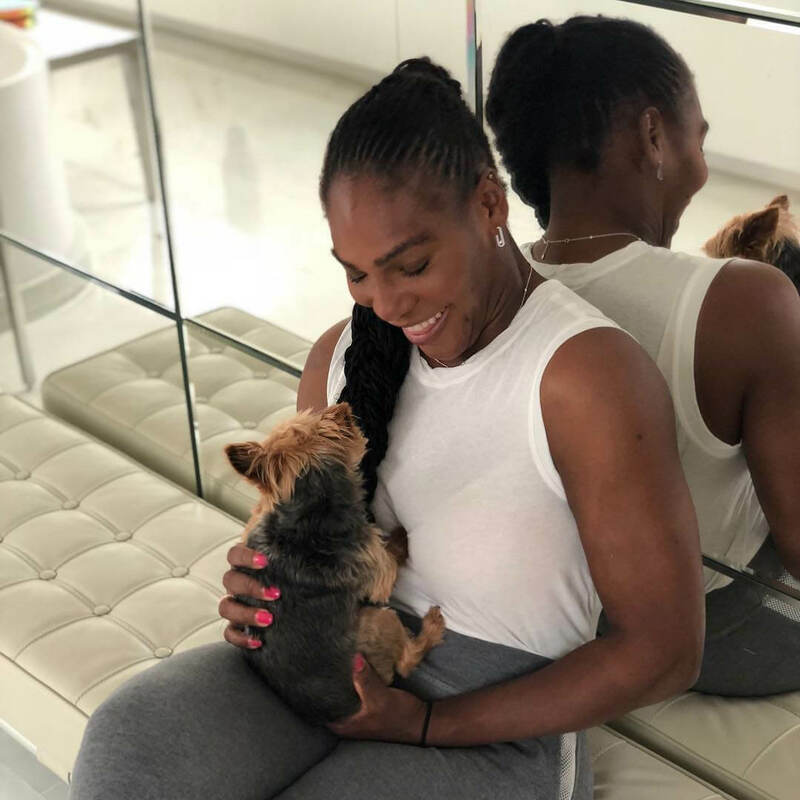 Just like us, these talented athletes absolutely adore their pets! It’s true what they say, pets look like their owners… see #9. Taking a stroll the park was already hard enough for Steph Curry as one of the most famous and popular NBA players. 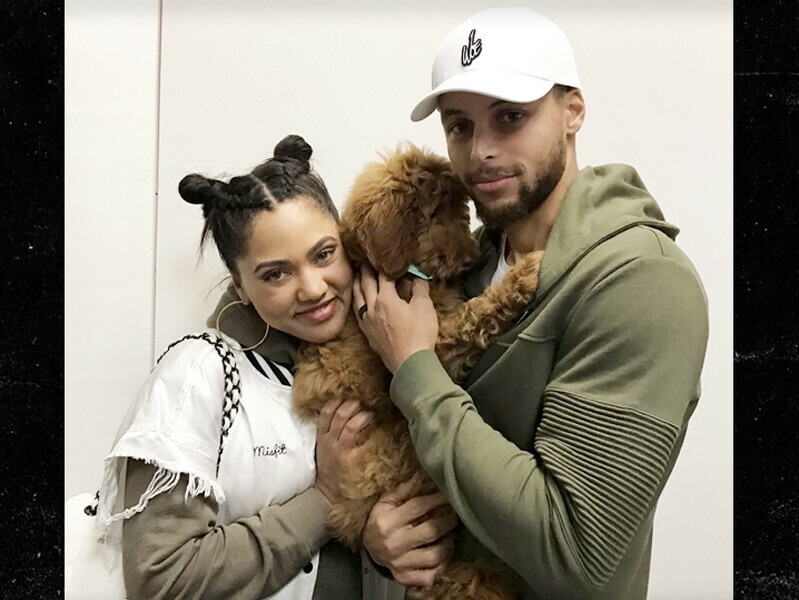 After March of 2017, the experience became ten times harder after he and the family acquired their ten-week-old dog, Rookie. His daughter Riley is already the life of the party amd adding a dog to the fray should be interesting. Lionel Messi is already somewhat of a superhero. Whether it’s to his kids or his beloved fans, the soccer star has a knack for pulling off some heroic feats while on the pitch. So isn’t it fitting that he owns a dog with the name of Hulk? Messi’s Dogue de Bordeaux is enormous, so Hulk as a name is more than appropriate. 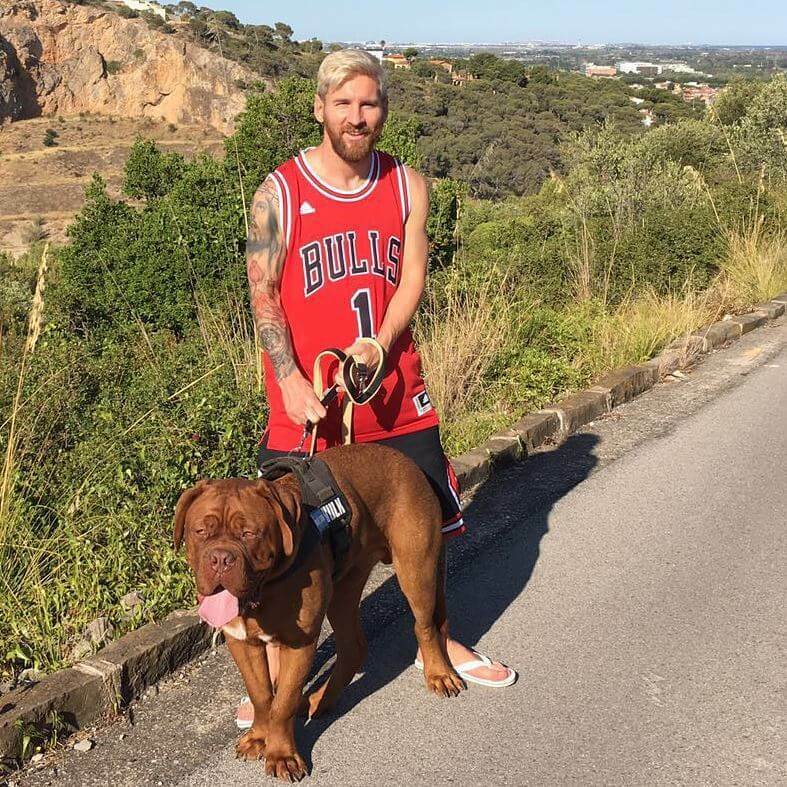 Messi posted a video of the two playing some ball in his backyard, and it took some pretty impressive moves to trick his beast of a dog. Tim Tebow was once the biggest names in college sports. Then he transitioned to the NFL, and the Denver Broncos selected Tebow with the 25th overall pick. As a present, he received a Rhodesian Ridgeback with the name of Bronco. NBA sharpshooter and the compliment to Steph Curry, Klay Thompson wins a lot. He’s been a three-point champion, an NBA champion on several occasions and an all-star game winner for many years. He must celebrate often. Luckily, he has his dog, Rocco there with him. With all the combat training that Conor McGregor has to endure, it makes sense he doesn’t see his loved ones that often. MMA calls for a grueling schedule and traveling all over the world. 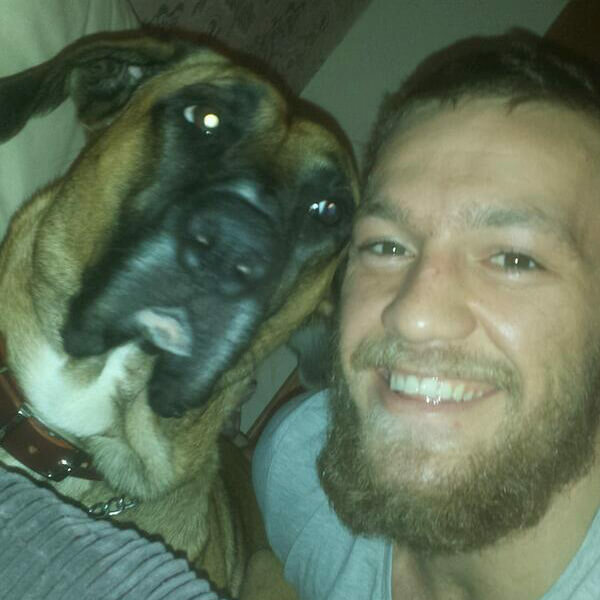 When McGregor finally gets to relax at home, he always spends much needed time with his dog, Hugo. “In deep conversation with my dog Hugo!! So good to be home again!! Love my little family more than anything,” McGregor said on his Facebook. The love between man and dog will always be there no matter how long McGregor is away. Maria Sharapova is one of the elite talents in women’s tennis. She’s also one of only ten women to ever win a career grand slam. Who was by her side when she did this? Sharapova has a Pomeranian by the name of Dolce, which translates to sweet in Italian. Sharapova adopted Dulce back in 2006. Dulce is one of the more popular pets of athletes thanks to Sharapova including her in commercials for Canon. Russell Wilson’s primary goal in life right now is more than likely to continue to add Super Bowl rings to his collection. 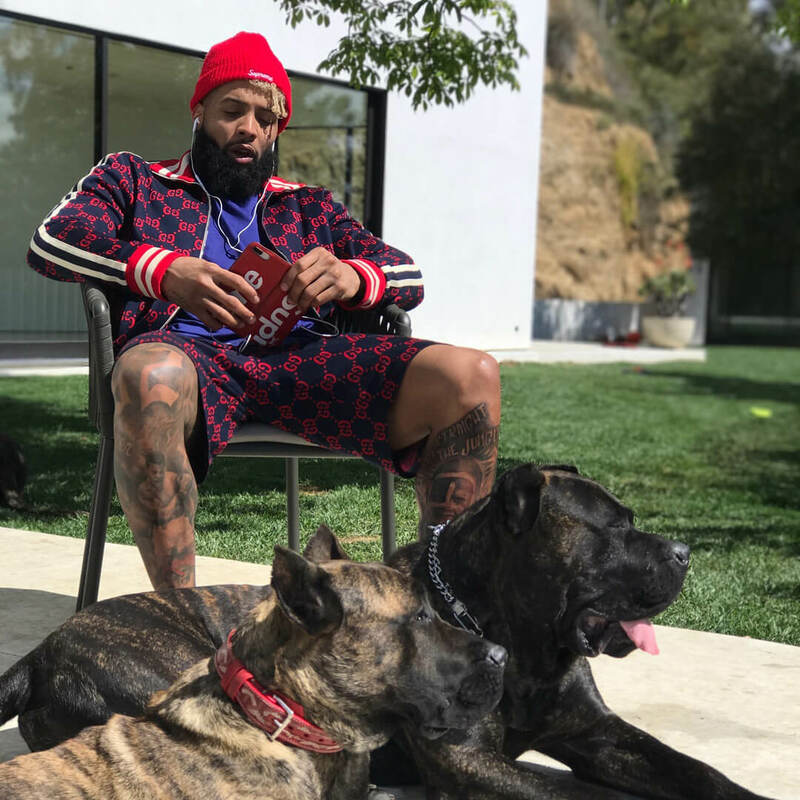 While that’s his focus, that doesn’t stop him and his wife Ciara, from adding some adorable pups to the family as well. “New Pup Alert!!! Welcome to the Wilson Family!” Wilson wrote on his Instagram caption. Wilson got this dog in early 2018 but didn’t reveal the name. 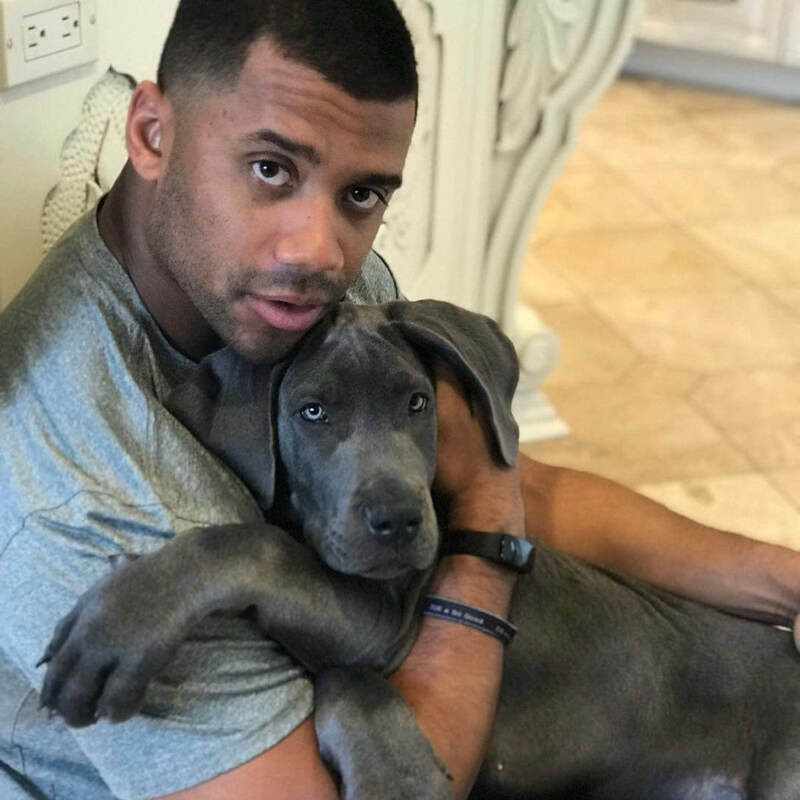 With two children already at home, you can imagine the house will be hectic during the NFL season while Wilson is away. One could argue that Michael Phelps is already a living legend. The most decorated Olympic athlete of all-time deserves to be in that conversation, easily. He swam laps around the competition, but now, has a dog that swims laps with him. His name is Legend. 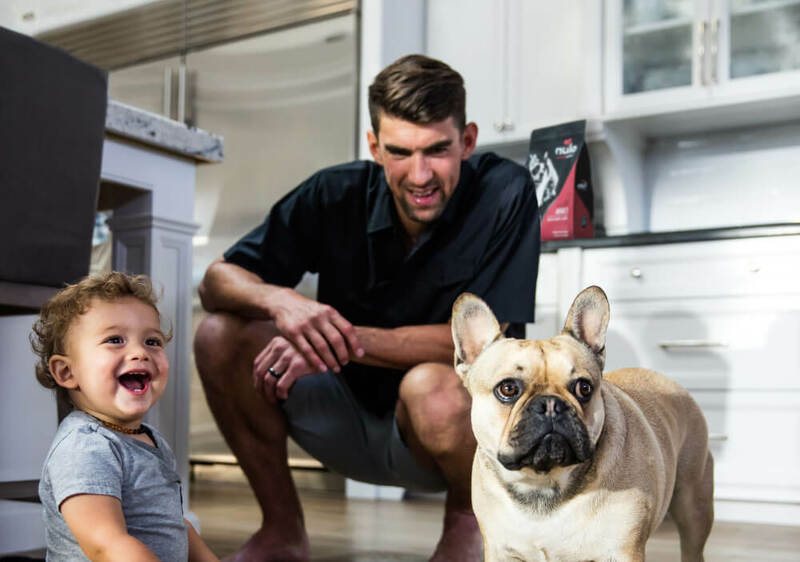 “Legend, I would say, is an everyday swimmer,” Phelps said. “We have this little ledge in the front of our pool that he climbs in when he gets hot from being outside for too long and will lay down in it.” Phelps can have his best friend in the pool with him and be all smiles. Still to come, find out who owns the camel and see how cute Aaron Rodgers is with his pooch. Argue it all you want, but Aaron Rodgers is currently one of the elite quarterbacks in all of the NFL. He does it all; scrambles out of the pocket, launches the long ball, and is highly accurate while doing it all. And it seems he has a dog, Rigsbee, that can do it all as well. Rigsbee was featured in a State Farm commercial alongside Rodgers and teammate Clay Matthews back in late 2017. The Australian Cattle Dog packs some acting skills to go along with his fetch game. Keeping up with Russell Westbrook can be tiresome, and we understand. That’s why we’ll give you a quick lesson. Westbrook likes to call himself “The Brodie.” It’s just a nickname which also happens to be the name of his cute little pooch. Westbrook always looks like a hungry lion on the court ready to pounce on his prey. 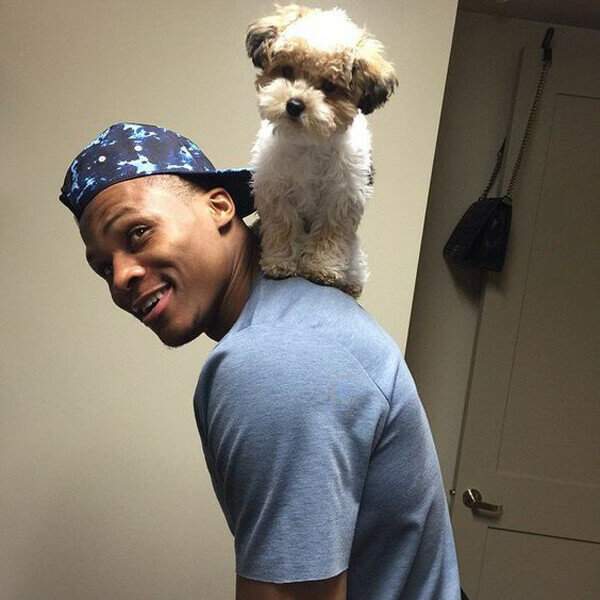 When pictured with his dog Brodie, his facial expression screams, “I’m happy!” The way Brodie is relaxing on Westbrook’s shoulders is pure gold. Who would have imagined a dog would ever have a book out about humans? 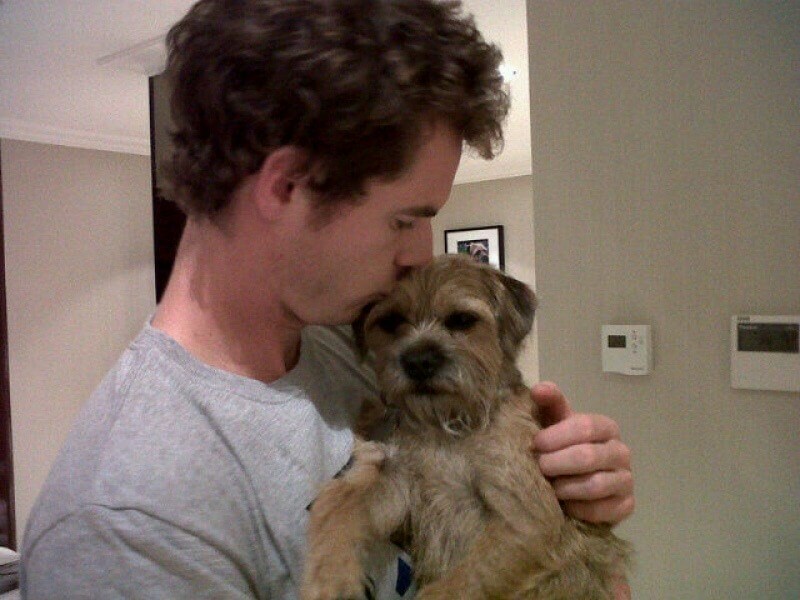 Well, prolific tennis player Andy Murray has two doggos, and one of them (Maggie May) has a book ghostwritten by Murray’s wife. It’s called How To Look After Your Human. Even if you’re one of the best Olympic athletes in the world, that doesn’t exempt you from the harsh factors of the world. 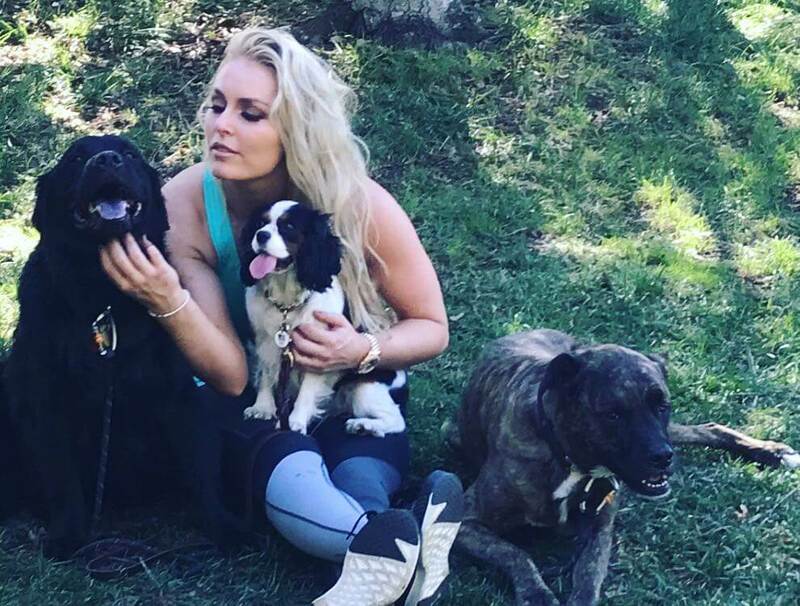 Superstar skier Lindsey Vonn has three rescue dogs: Lucy, Leo, and Bear, all of which have acted as therapy dogs to help Vonn cope with depression. “If you don’t have anyone it can be very, very lonely and just empty,” she says, “I always have someone to cuddle with, and someone that’s happy to see me.” You can always rely on dogs to be there to cuddle with. Did you know the GOAT had a dog? 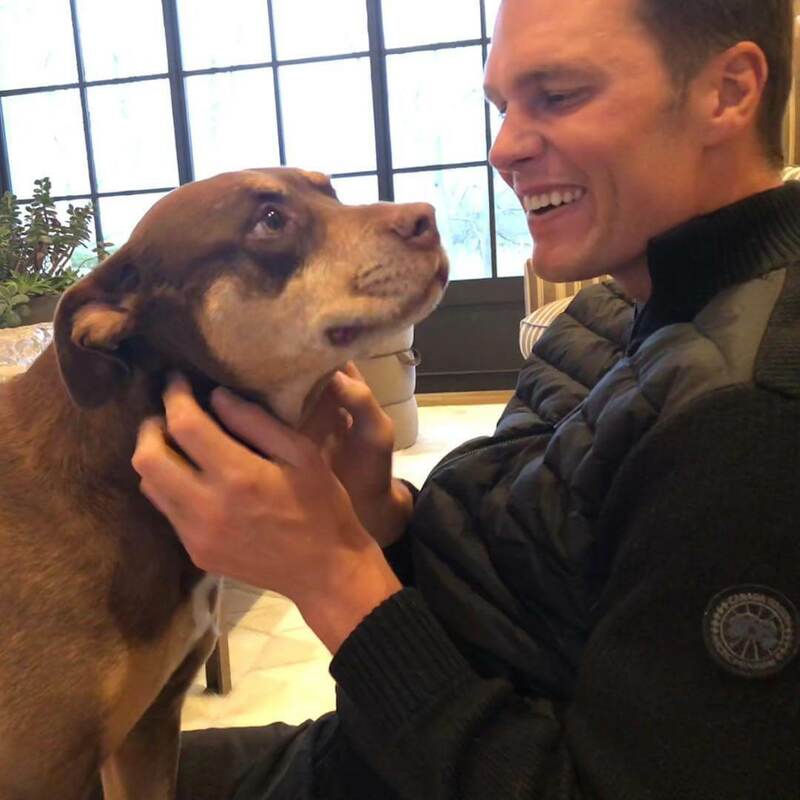 Tom Brady, the five-time Super Bowl winner and four-time Super Bowl MVP winner also has three dogs at home to take care of. Between his model wife, three kids, and three adorable dogs, that’s a lot of beautiful faces he has to split his time between. Out of his three dogs; Fluffly, Scooby, and Lua, he has a favorite. The one he adores the most is the one you see pictured, Lua. “Yes Lua, I still love you the most,” he captioned a picture. Good things dogs don’t read. Neymar might not be the best footballer right now, but in due time, he could claim that title. The Brazilian soccer star is a forward for Paris Saint Germain and is the owner of three golden retrievers. It’s clear that he has nothing but love for all of them. His three pups are named Poker, Truco, and Flush. Poker is the oldest having been with Neymar for quite some time. 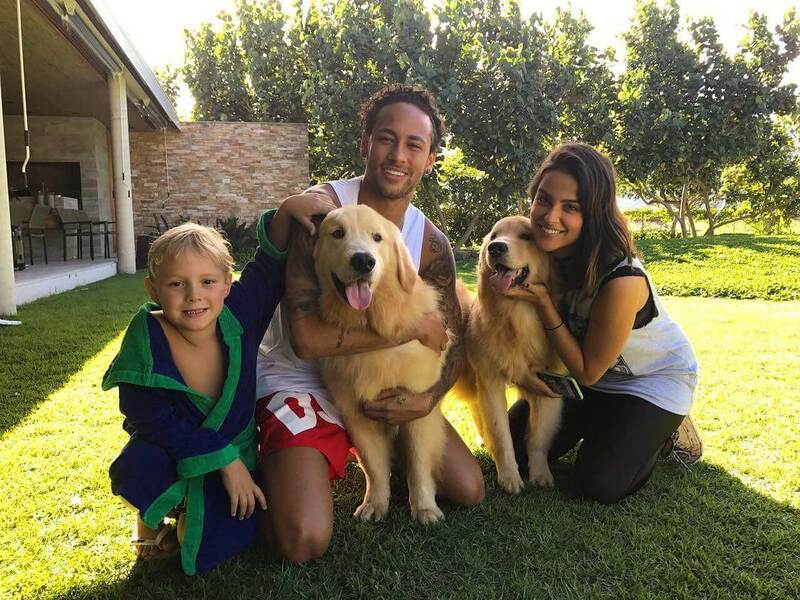 Much like Messi, Neymar enjoys playtime with his dogs very much. Serena Williams must live a happy life. Married with one kid, she also has an adorable little Yorkshire Terrier by the name of Chip. Williams takes pictures and videos of Chip nonstop and even made an Instagram account for the precious pooch. We’re sure Reddit co-founder, Alexis Ohanian has a blast with little Chip as well. Chip does a great job cheering up Williams whenever she’s down or after a tough loss. Chip has also traveled and been to many events alongside Williams. There’s no better feeling than having someone love you unconditionally. Many humans are capable of this, but dogs are the actual owners of this trait. 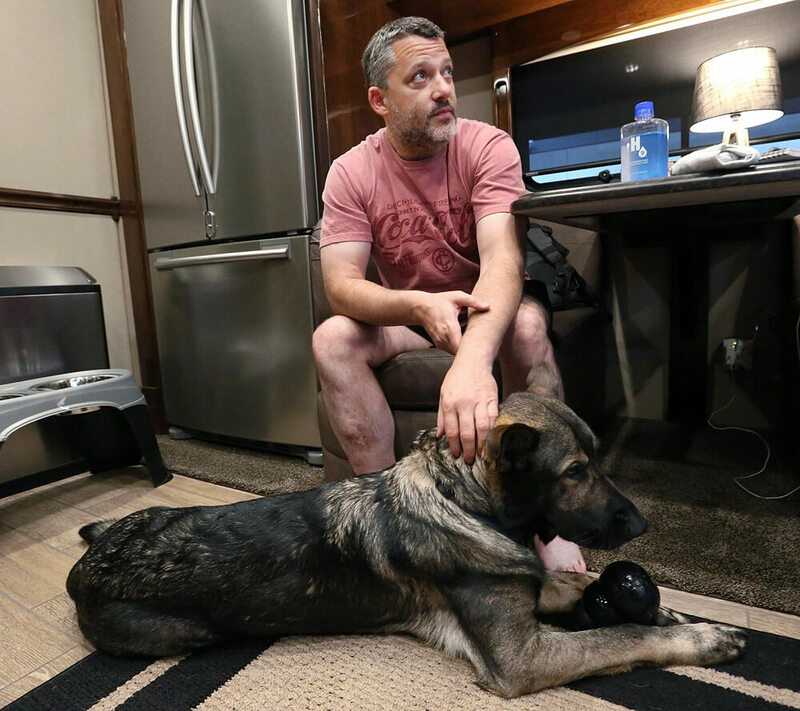 And for Tony Stewart, his dog Max is the perfect type of companion for Stewart. “The great thing is that you come back to the motorhome after a race and [Max] doesn’t know if you had a bad day,” Stewart said. “He doesn’t know whether you won or whether you ran 40th. He doesn’t care. He just cares that you’re back.” What an incredible luxury to have. Are you now ready for the camel-owning NBA player? Generally speaking, the average pets for people to own are dogs and cats. You can’t go wrong with either for the most part as they only require so much. Others like to explore their options and adopt exotic animals, but none more fascinating than what Carmelo Anthony has. “Everybody got dogs and cats as pets, I got a camel!” he announced in 2011. 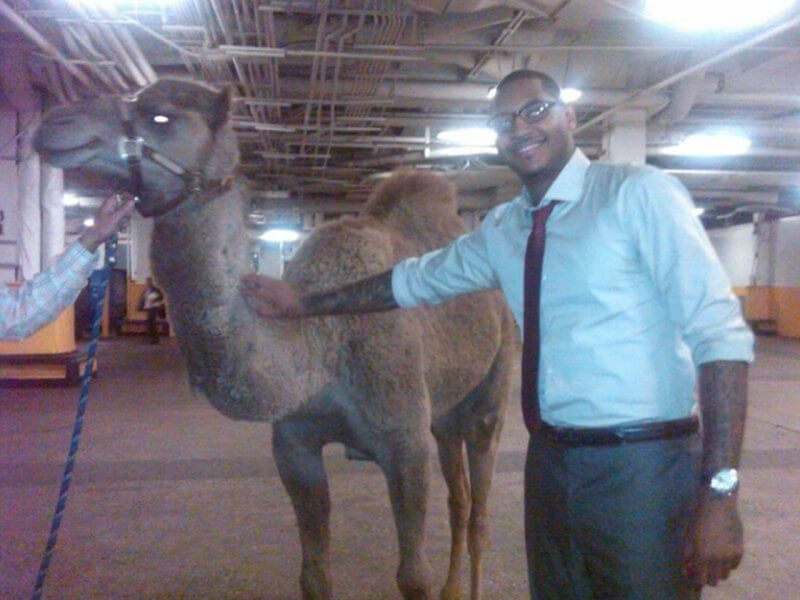 That’s right, Anthony might be the only professional athlete to own a camel. Is he able to ride it to the arena before games? Michelle Wie is one of the more memorable faces in the world of golf. She became the youngest player to qualify for a USGA amateur championship when she was only ten-years-old. The young competitor was and still is a lover of dogs. “As a young girl, Michelle Wie dreamed of having a dog, and a cocker spaniel came to mind,” ESPN reported. “Now she has her dog, indeed — a Pomeranian named Lola.” Aren’t the two of them lovely? If you follow Odell Beckham Jr. on social media, then you are aware that he’s one of the most outspoken athletes in all of the world. He has dance moves and antics unrivaled by many, but sometimes you might get a glimpse of his beloved dogs. There are even videos of him doing the salsa with his massive dogs. During the 2017 season, Beckham showed how much he loved dogs when he imitated them during his touchdown celebration. He pretended to use the restroom on a fire hydrant as a dog would, and it cost him $12k in fines. One of the best NBA players today, Kyrie Irving knows how to get the job done. He works endlessly to improve his game, so sometimes he deserves a breather. That’s when his doggo Drew comes in for help. Drew provides Irving with the support he needs whenever he isn’t traveling the nation bringing his helping to bring his team victories. 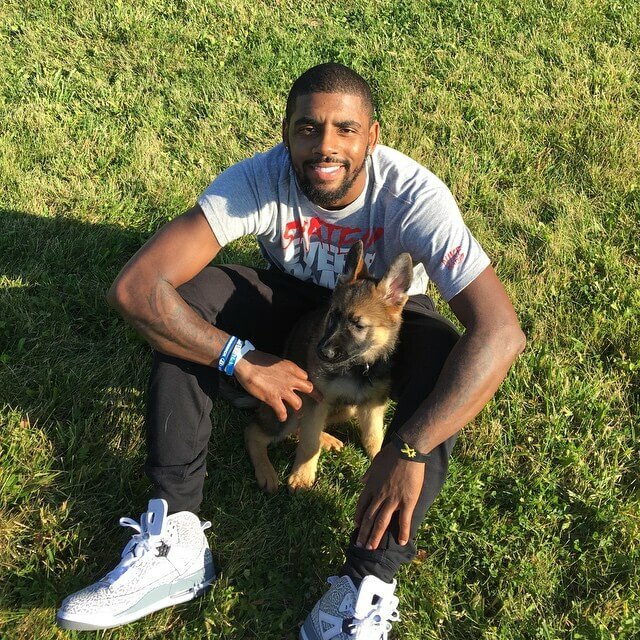 And it’s also funny that Irving named his dog after his alter ego, Uncle Drew. Maybe when Drew gets old enough, he’ll start calling him Uncle too.